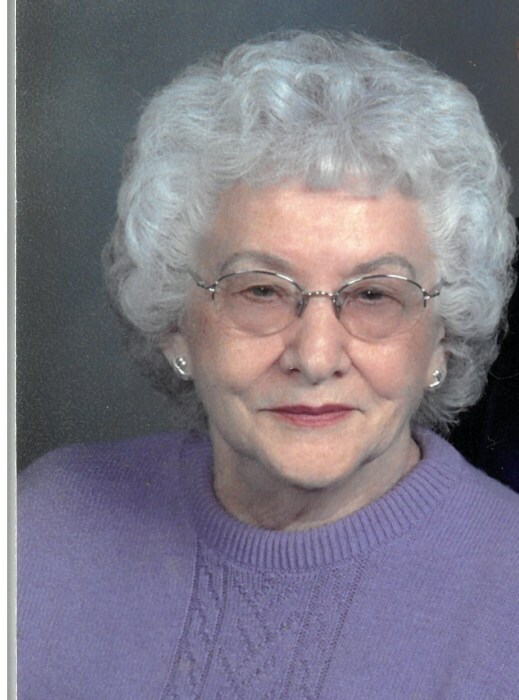 Margaret Ann Brown, 91, of Fayetteville passed away on Wednesday, January 30, 2019 at The Crossings at Wayside. Margaret was born on February 24, 1927 in Bellevue, Ohio to the late Amelia and William Brown. She was preceded in death by two brothers and five sisters. Funeral services will be held on Tuesday, February 5, 2019 at 11:00 am at St. Patrick Catholic Church with Father Gregory Lowchy, officiating. Burial will follow in Lafayette Memorial Park. The family will receive friends at the church on Tuesday from 10:00 until 11:00 am. Margaret is survived by her beloved husband of 69 years, Dean A. Brown; sons, Stephen D. Brown and wife, Brenda of Fayetteville, Richard A. Brown and wife, Janette of Raleigh, Thomas E. Brown and wife, Claire of Raleigh, James M. Brown and wife, Karen of Carthage; daughter, Patricia Mayhew and husband, Verdery of Fayetteville; sisters, Rosemary Schaus of Lakeside, Ohio and Clara Mae Vincler of Lynwood, Washington; 12 grandchildren and 23 great-grandchildren. In lieu of flowers, the family request memorials to St. Patrick Catholic Church 2844 Village Dr. Fayetteville, NC 28304. The family would like to thank Liberty Hospice and The Crossings at Wayside for their compassionate care and support.